The medipack, or the heal boost, is the default boost that increase a player's health by half of his total health points. This is one of the most important boost as there is no health regeneration in this game and the traditional healing method is used here. It is good that one keeps this default boost and switch it out only when the other boosts are needed because healing with the medipack is just one tap away, quick enough for even the most dangerous situations. In coop multiplayer, the medipack is a popular choice of boosts not only because one needs to survive with the medipack, but also because the medipack is the only boost that takes an effect on all three players in the field. That is, one tap and everybody is healed. 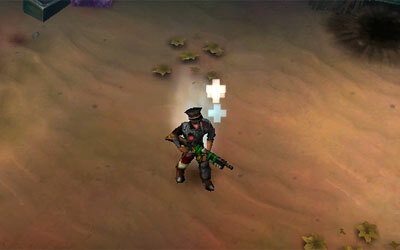 Each player receive half of their respective total health points when a medipack is used. So help your teammates out with the medick.